Low-voltage cut-off. 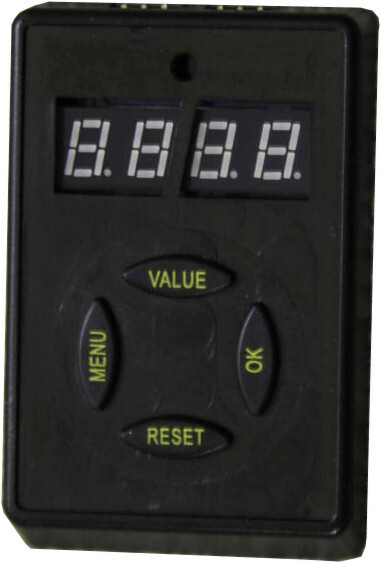 3.0V/2.7V (selectable per cell) for Li-ion/Li-polymer battery; or 0.9V/0.7V (selectable) for Ni-CD/Ni-MH battery. The short servo type lead is used for programming. 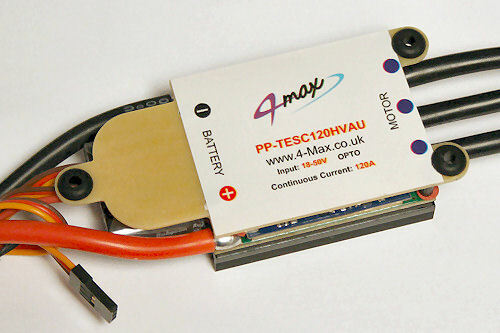 The thin single red wire is used to eliminate the spark when connecting the ESC to the Battery. Solder a short piece of wire to the main red wire of your battery and then solder the female half of your connector to the free end of this wire. Once thick red and black wires are connected you can now unplug the thin anti spark wire.